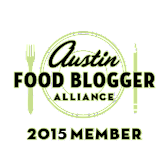 Welcome to the very first "Foodie Friday!" Every Friday I am going to tell you about a new fruit, vegetable, food product or food craze. These aren't necessarily new to everyone but I think everyone will be able to learn something! The point of this is for ME and YOU to learn new things about food and expand our horizons! Let's being honest, how many of us have ever eaten a rutabaga? I know I haven't! Every Foodie Friday I'll explore a new food and hopefully find some awesome new recipes, or at the very least be able to say, "Why, yes I have eaten a rutabaga!" New Food: Yellow Watermelon aka "Yellow Crimson"
How to select the perfect watermelon: The general rule for selecting watermelons is to look for a firm, unbruised, symmetrical watermelon. You also want it to be heavy. And of course there is the "thumping" process: thump the watermelon and listen for the hollow sound. Or ask the people at the farmer's market, they are the experts after all! Where to buy: Your best bet is your local farmer's market [and some grocery stores] during the summer. Remember that the outside looks the same as a red watermelon so ask around! I can't guarantee your area will have them but definitely look! The largest recorded watermelon was 262 lbs! The watermelon is cousin to squash, pumpkin & cucumber. Many people have never seen yellow watermelon so its definitely a conversation starter! My yellow watermelon slices look more orange here but they are yellow! Flavor: The yellow watermelon is sweeter than the red watermelon and is described as having a honey like taste. The one I ate for this post was seriously so sweet it melted in my mouth. How to prepare: Little known fact: you should wash watermelon before you eat it. Even with a rind you don't want dirt getting into your slices or when you are cutting it up. Recipe suggestions: Normally I would try to have something of my own here but today I am just linking to a couple fun recipes! Come back next week for another Foodie Friday! 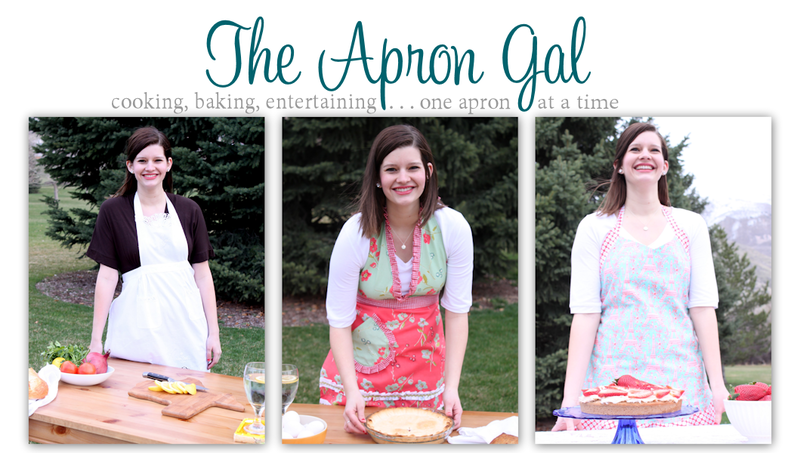 If you still haven't entered my cute apron giveaway do it here! Are you a follower? Liked me on Facebook? Twitter? Each is an entry! Thanks! I love this! I totally learned something new! Very cool! I've never heard of a yellow watermelon! This is crazy that you did a post about yellow watermelon because just days before I had my first one. I didn't know they existed! We had dinner at grammys house and she had them. When everyone was going back for seconds on the salad and the meat, I just grabbed the whole bowl of yellow watermelon and finished them off by myself. I like yellow watermelon more now than the regular kind! Welcome Back, New Design & A Giveaway!